2016 Ford F150 XLT FX4 Super Crew 6.5' bed. Very clean truck with many options including power multi-adjustable seats, adjustable pedals, steering wheel controls, back-up camera, heated seats, XM satellite radio, integrated trailer brake, power sliding rear window, bed liner, ARE bed cover, tow package, running boards and more! Fully inspected and serviced! 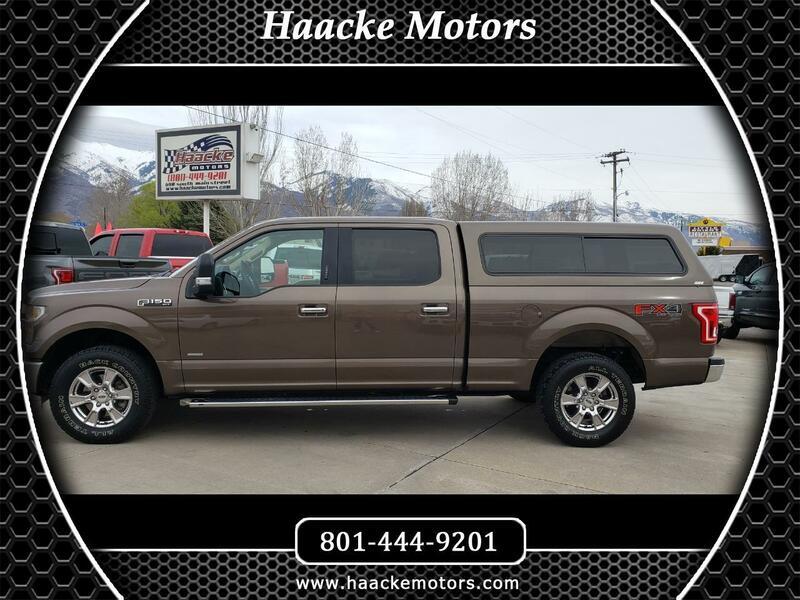 See us on our website at www.haackemotors.com, AutoTrader.com, Cars.com, Carsforsale.com, KSL.com, Cargurus.com, CarFax Online, Listingallcars.com, Facebook and Instagram!